THE 40-YEAR-OLD man shot by gardaí searching for Jastine Valdez this evening has died. It is believed that the 24-year-old woman was abducted in Enniskerry, Co Wicklow yesterday evening. The shooting took place today at about 8pm near the Dell site at Cherrywood Business Park in Dublin, where the car used in the alleged abduction was located. The man, a father-of-two, has died from the injuries he sustained. Jastine was last seen while on her way home yesterday afternoon. Gardaí are still searching for her, but there are fears for her welfare. It's understood that the man was armed with a knife before he was shot. A large garda presence is at the scene and the area has been sealed off. This is the scene in cherrywood right now. The shooting has been referred to the Garda Síochána Ombudsman Commission (GSOC), as per protocol, the Garda Press Office said. A spokesperson for GSOC told TheJournal.ie the organisation has "deployed a team of investigators to the scene of a shooting, following a referral from the Garda Síochána". The spokesperson confirmed that the man has died. Jastine was reported missing by her family late last night. Her reported disappearance followed an earlier incident near Enniskerry when, shortly after 6.15pm, gardaí received a report of a female pedestrian being forced into a car on the R760 road, south of Enniskerry. The car involved in this incident was a black Nissan Qashqai with the registration 171 D 20419. Gardaí earlier asked anyone who saw this vehicle to not approach it, but call 999 or 112 immediately. They still want to hear from anyone who may have seen the movements of the car since yesterday up to 8pm today. Jastine, who is originally from the Philippines, is described as approximately 5ft in height, of slight build, with long black hair and brown eyes. When last seen she was wearing a dark jacket, white t-shirt, grey leggings and runners. Investigating gardaí are appealing for anyone with relevant information to contact Bray Garda Station on 01 666 5300, the Garda Confidential Line on 1800 666 111 or any garda station. Speaking to reporters at Bray Garda Station earlier, Superintendent Paul Hogan said: "We're extremely concerned for her welfare and her safety." He said a woman was "seen being bundled into a car" yesterday evening. 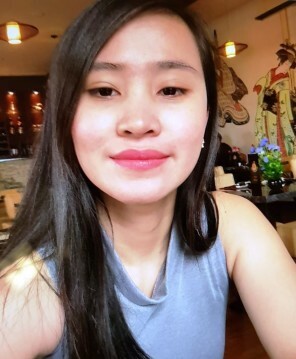 A search was carried out in Enniskerry, near where it's believed Jastine went missing, earlier today and her mobile phone was recovered at the side of the road. "We're working very diligently trying to find out where she is. It's unusual obviously for a young person to be without their mobile phone. We had the air support unit here earlier on, we have search teams out, we hope to get the Civil Defence as well. "It's highly unusual for her not to be in contact with her mother, she's in regular contact with her mother via Facebook, all the time, and that contact has stopped," Hogan told reporters. Hogan said gardaí "have an idea" who the registered owner of the car is but want to clarify who was driving the vehicle yesterday. It has not been reported stolen. Hogan said gardaí want to "talk to the driver of that vehicle to eliminate him from our enquiries at the very least". Email “Man dies after being shot by gardaí searching for woman believed to have been abducted”. Feedback on “Man dies after being shot by gardaí searching for woman believed to have been abducted”.